Type your query in the search box below. All search results provided by Google. If you wish to search for images, check the "images" tab once the search results are displayed. Search results are mobile friendly, too. 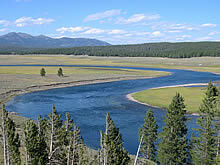 Fishing the Rivers of Montana - Detailed fishing and floating information, as well as photographs, for more than 40 rivers in Montana. 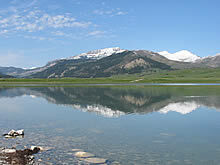 Fishing the Lakes of Montana - Information and photos for fishing more than 50 lakes in Montana. Photographs of Montana - More than three thousand photos of Montana. 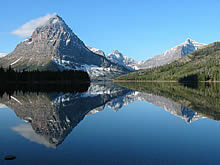 Glacier National Park - Visit this section to explore the hiking, fishing and other recreational activities in this beautiful National Park. 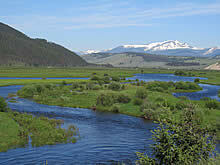 Yellowstone National Park - Fishing information and photographs for all the major rivers in Yellowstone. 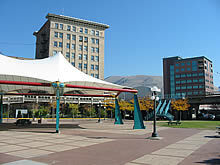 The Cities of Montana - Information, history and photographs for all the primary "cities" in Montana. 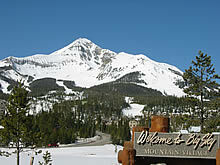 Montana Downhill Skiing - Detailed profiles & photos show the downhill skiing in Montana. 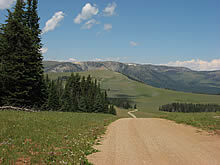 Montana Scenic Drives - Explore Montana the way it is meant to be explored, off the main highways. 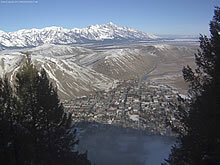 Montana Web Cams - Live views of Montana. The Montana Hi-Line - The essence of Big Sky Country. Explore this unique but forgotten part of Montana. The Small Towns of Montana - Learn more and browse hundreds of photos of the many unique and sometimes quirky small towns in Montana. The Montana Stream Access Law - The definitive guide to legally accessing the beautiful rivers, streams and lakes in Montana. In-Depth Guide to Fly Fising Gear - Everything you wanted to know about fly fishing gear, as well as some things you didn't. The Hiking Gear Guide - Special focus on gear you want, and don't want, for day hiking. Montana Books & Maps - Various books and maps about Montana and the recreation available, including fishing. Montana Calendars - Desperate for a gift idea? Start here. Other topics, some related to Montana and others not, explored on this website that visitors to Montana may still find of interest. Inflatable Kayaks - Great boats for floating a Montana river. Visit page for help on deciding whether you need one and what kind to get. Inflatable Rafts - Another great boat for floating in Montana, visit page to enter the mysterious and exciting world of inflatable rafts. Fly Fishing Boats - Breaking down the different types of boats for fishing used in Montana. Inflatable Fishing Boats - All sorts of info about great inflatable boats for fly fishing. The Water Footwear Guide - Avoiding cold, smelly and squishy feet while staying safe on the water. The Snow Boot Guide - Montana and snow go hand in hand. Winter Socks - You really don't wear cotton socks in the winter, do you? How to Keep Your Feet Warm in the Winter - Cold feet? Maybe this will help. 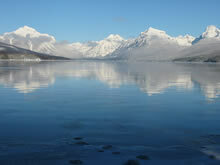 Montana Fishing Guides - Find a licensed fishing outfitter. Internet Home Business - Making, or at least trying, to make a living from a website. Hiking in Grizzly Country - Or how to avoid becoming a meal for the local fauna. Boots, Shoes & Socks - Detailed info and some reviews for specific "Montana friendly" Sorel Boots, Ugg Boots, Baffin Boots, SmartWool Socks and Water Shoes.